Available in Lilac, Pink and White! Bacopa offers a thick trailing like foliage with gorgeous colourful flowers. Perfect for the garden, containers or hanging baskets! 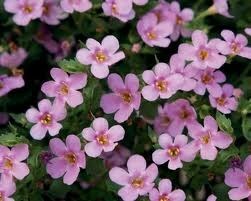 Is a fantastic groundcover also.